Home→Blog→activism→Going Green for Dr. Martin Luther King, Jr.
← Going Green Series: Choose your first step and save money. Today is the day when we celebrate the life and legacy of an inspiration, a leader, a teacher, a human that makes mistakes like the rest of us, and a man that helped change the world. Some days I feel like we have so much further to go. And that’s true. Other days I can see how far we’ve come. And that’s true too. Which reminded me of a thought-provoking essay I read over the weekend, “Confessions of a Recovering Environmentalist” by Paul Kingsnorth. It is long. I almost didn’t read it, yet it drew me in. Modern environmentalists have to fight the fires coming from all ends of the spectrum. I wouldn’t say the author is recovering from anything, he is only staying true to himself. That is admirable in this time. I only wish we had more people that realize that solutions to fossil fuels is not always simple and in fact, often causes more problems due to our consistent greed and consumerist lifestyle. Kingsnorth offers up some beliefs I take issue with, even though I am perhaps a bit biased and a bit out of touch with the mainstream movement myself. He says, “If ‘sustainability’ is about anything, it is about carbon.” And he is saying that ultimately what is coming from the mainstream movement is this, which is eliminating the connection with nature, the realization that we are nature is lost. Oh, oh. Could it be true? Could fighting for social justice and environmental justice be an anomaly or even contradictory? I believe that both carbon and the steadily rising population both contribute to social injustice and environmental degradation. Really, can’t we do both? I suspect Kingsnorth’s argument might say something about how the bourgeoisie are unwilling to give up anything to make that happen. We must be radical to win the fight. Going Green for Dr. King. Dr. King was an inspiring leader and teacher who worked to end prejudice and discrimination. He fought ignorance and irrational fears just as those working for civil rights and the environment do today. I believe he would fight for both social and environmental justice (no matter what others may decide is the history of such terms) were he still alive and that is just what I intend to do now. What about you? Will you do something in honor of his memory today. this week, this month, this year? Consider giving of yourselves to help nature. We are all a part of nature, we just need to remember that and stop trying to separate ourselves from it. What truth will you tell? Great and interesting perspective on Dr. King’s teachings and legacy. His contributions went so far beyond civil rights. He urged us to protect our society, nation and the human rights of people world wide. He warned against the dangers of the culture of consumerism in America. I was just exploring this myself! Thanks, Sarah. I was surprised at how many people believe(d) that any kind of justice – social or environmental – means communism, socialism, and other things to fear. 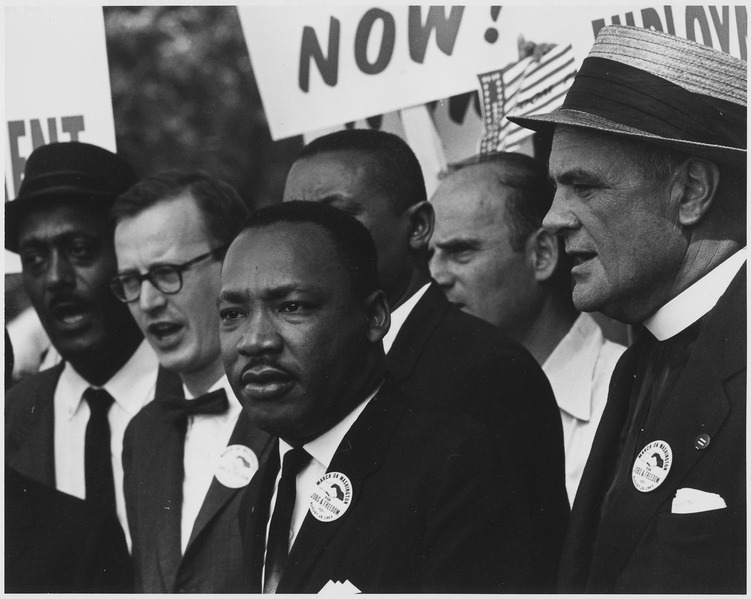 What Dr. King believed to be true means that now we must stand up for environmental and social rights. I just hope more listen. I read that article, too, and found it provocative and interesting. I don’t think there’s a clear, 1-1 correlation between social justice and environmental sustainability, but I do think that people who are dealing with acute discrimination, oppression, and need simply don’t have the resources to put the environment first, or even the headspace to think in terms of something as abstract as planetary wellbeing. So in that sense, they’re probably (tenuously) related. I don’t like the type of environmentalism that is all about ‘buying green,’ and being unable to make the distinction between what is good for the planet and what is just a little less bad for it. Eventually, I think we’ll be forced to consider bigger changes, more important decisions if we want to make any real difference. I find it strange to NOT think about the two being related, but that is more for people of privilege who have the time and resources to devote to the cause(s). I know how difficult it is for people in poverty to even care about their environmental impact, which is why I see them as much more related, perhaps as a byproduct. I believe that if you are going to buy, do your best to buy green, local, organic, sustainable, but if there is no need to buy, then don’t! We spend too much money and resources buying things we certainly don’t need. Big changes are on the horizon. What do you think will come first? Every day is a day to “go green”! Good point about people in poverty being in survival mode and not thinking about environmentalism. Yet, they may also not be caught up in consumerism and consumption. In fact, they may be living more sustainable lives by necessity. Education is an important part of creating change. Sometimes meeting people where they are and helping them make small changes can make a big difference. First, we find common ground, build relationship, educate, facilitate change, inspire duplication. So let’s start with those household cleaners! We all clean house, right? I’ll show you how to save money first. Then, I’ll show you how you helped your family be healthier, and finally I’ll show you how you’ve helped the environment. Next, you tell your friends and the cycle repeats and change happens. Very astute. I believe in a lot of cases we must people where they are, but occasionally there needs to be gentle pushing. ;) I am a huge proponent of going green with baby steps and creating permanent change through small action. I loved this article is very true things!